Planning for your elf’s departure? It’s bittersweet. Or maybe just sweet. You have to admit though, the looks on your kids faces every morning makes it totally worth it. 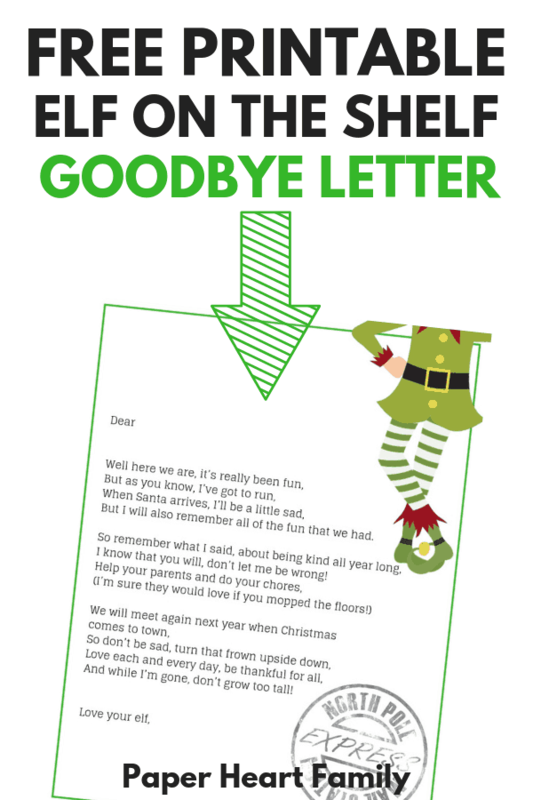 This is why your elf needs a proper send-off, and this Elf on the Shelf goodbye letter is the perfect Elf on the Shelf leaving gift. Because your kids will be getting enough presents tomorrow morning. This goodbye letter will be a keepsake that your kids can treasure and re-read. If you’re ahead of the game, make sure to check out this post, which includes tons of Elf on the Shelf Ideas for busy moms (letters, names, and poses for your elf). For our kids, the departure of their beloved elf is likely bitter. 25 days of waking up every morning excited to find the Elf on the Shelf, only to be replaced on December 26th with a whole lot of nothing. 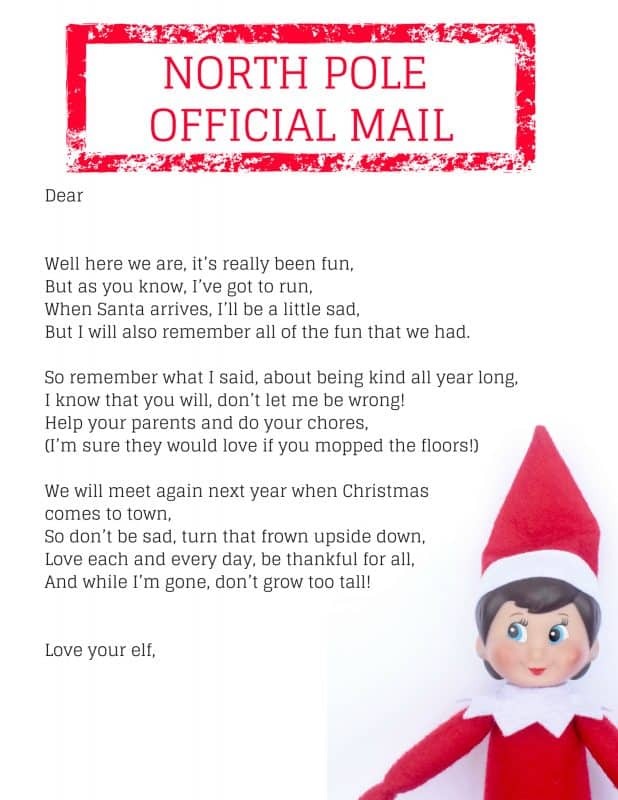 This Elf on the Shelf goodbye letter should help your kids feel a little less let down. You don’t want to have your elf leave without a word, right? 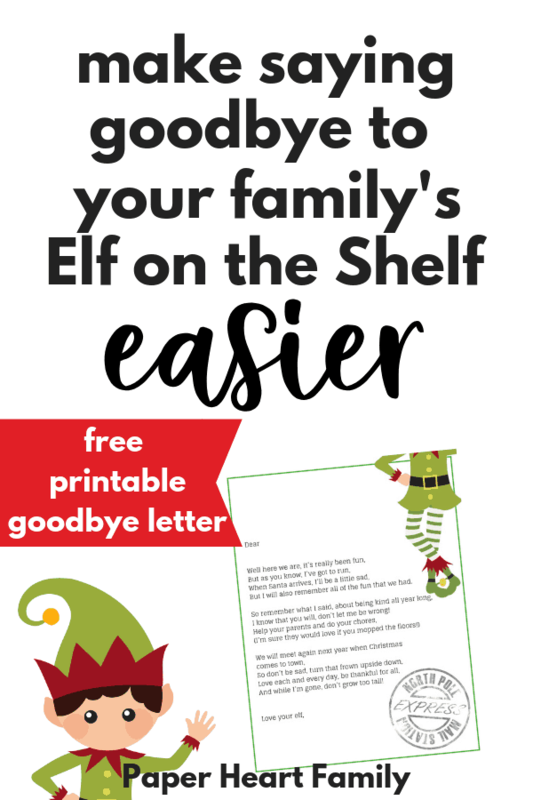 This Elf on the Shelf Christmas Eve goodbye letter allows your kids to have a little keepsake from their favorite elf, and it will hopefully distract them from being sad. What else is great about this letter? It reminds your kids to be thankful and kind. And unfortunately, a little lesson coming from the Elf on the Shelf to be kind and thankful juuuust might be more well received than if that same lesson was coming from you. Ah, kids. You can also check out these easy elf ideas or these ideas for saying goodbye to your elf. But I will also remember all of the fun that we had. I know that you will, don’t let me be wrong! And while I’m gone, don’t grow too tall! 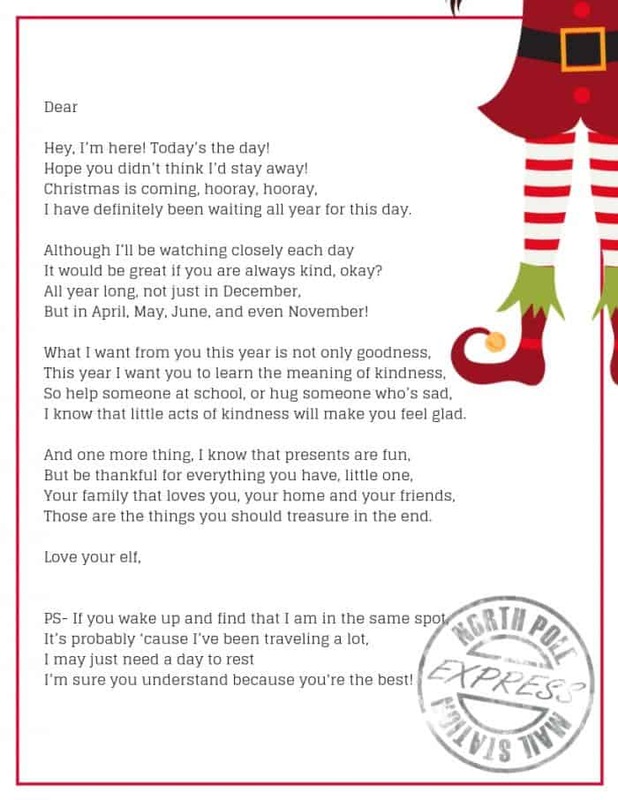 Hope your kids love this Elf on the Shelf last night poem, and I hope this letter helps this fun Christmas tradition to go beyond the giving and receiving, and to give it a more meaningful purpose. Don’t forget to check out my Elf on the Shelf welcome letter (you can pin it for next year! ).